Tetsuji Chūma (中馬 鉄治, Chūma Tetsuji), more commonly called Chū-san (チュウさん), is a chemistry teacher at Kaimei High School and the homeroom teacher for class 2-C. 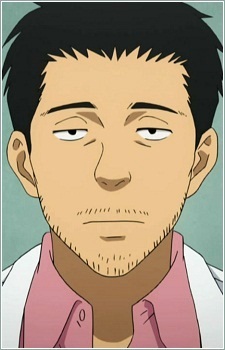 He is the faculty sponsor for the Sket Dan, a fact he often uses to get them to do things for him. He frequently creates odd potions and explosives which oftentimes backfire. He is currently engaged to Remi.